This ridiculously silly low budget sequel finds a fairly lame reason to come to Japan and so from 34 minutes onwards we begin to see Tokyo locations including Tokyo Tower (36 mins) Kabuki-za (37 mins), Shinjuku Yamanote line platform (38 mins), Asakusa Senso-ji (38 mins), the area around Harajuku station (41mins), Tokyo station (51:00) and Tsukiji fish market (58 mins). The majority of those places are fairly famous and in a sense not that interesting to detail as they have all been used in films before. However, Tsukuda is a different matter entirely! I visited this place on a very windy day back in February of this year to scout out the filming locations used in this sleepy area in the south of Tokyo. Tsukuda first appears on the hour mark as the Toxic Avenger is re-united with his long lost Japanese father on the striking red Tsukuda Bashi Bridge but its discovered that he has been smuggling cocaine. 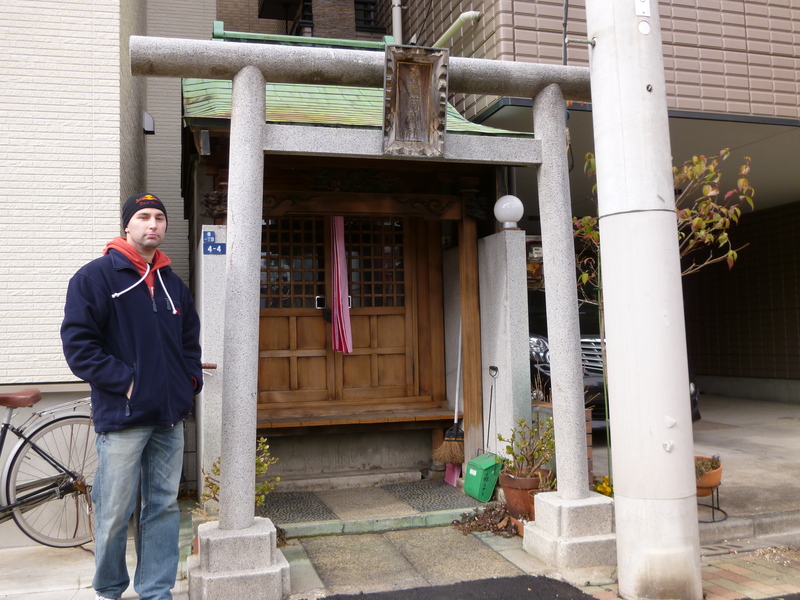 They follow him around the block to his headquarters at “Fisherman’s Shrine” on 62 mins which in reality is Sumiyoshi Jinja shrine (below). 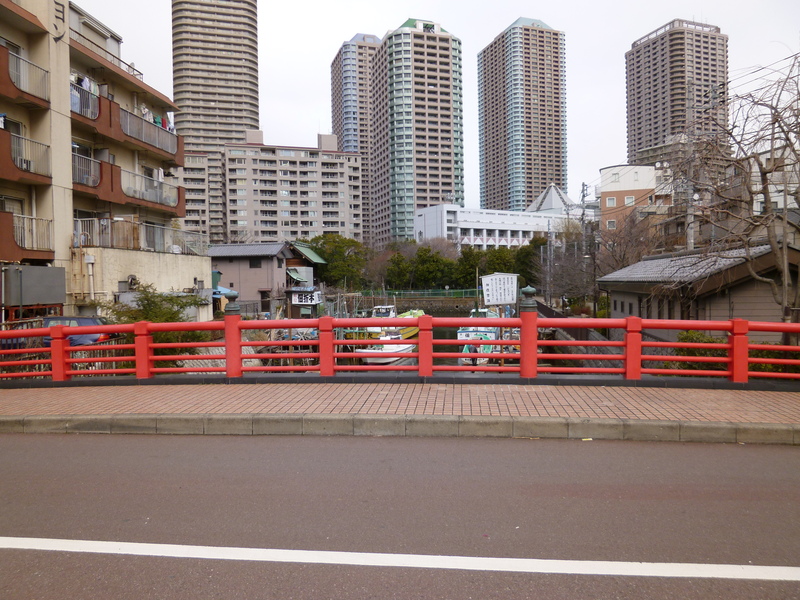 The address is 1-1-14 Tsukuda and it is only a minutes walk from the aforementioned bridge. The Toxic Avenger and his lady friend Masumi confront him about his crimes and in true comical fashion he inadvertently hits her and as she’s left slightly dazed and confused she comes to rest on the stone statue thing seen below. A very silly fight ensues between the Toxic Avenger with his fathers team of henchmen and it continues on back to Tsukuda bashi bridge (below) on 65 mins. As more and more random people join in the this silly bout of fisticuff action different parts of the town are seen. There is a fight on 67 mins with a man dressed as a Japanese schoolgirl and some kabuki men from earlier in the film who suddenly turn up in this sleepy part of Tokyo for no apparent reason but given that Troma Entertainment are famed for serving up campy movies this is not so unusual! 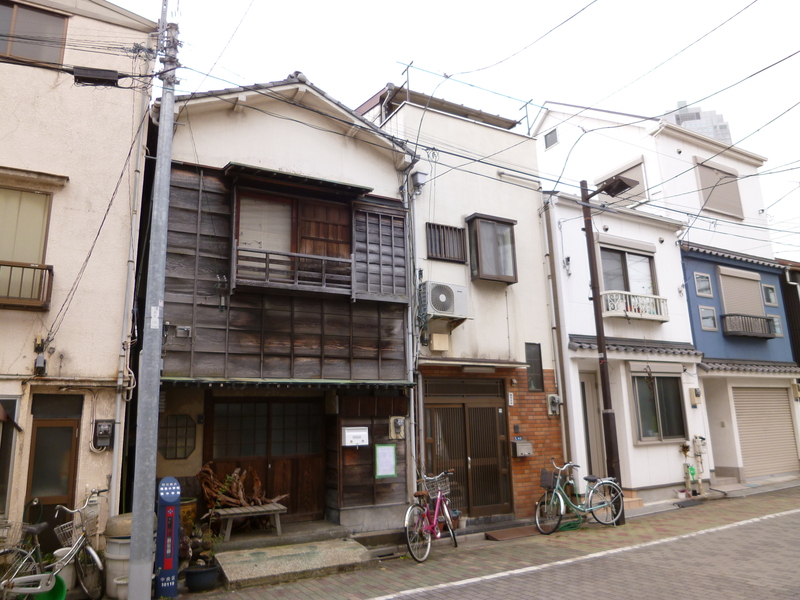 The area looks quite different these days but the tiny Mori-inari jinja shrine (below) at 1-4-4 Tsukuda is still there but blink and you might miss it! I had actually given up on finding it after navigating the area for a while on bicycle looking for it but as I was about to make my way home I came across it by chance. Tenyasu tsukudani (small seafood, meat or seaweed simmered in soy sauce and mirin) boutique (below) appears on screen on 70 minutes where Japanese food critic Go Nagai makes a cameo appearance as he’s giving a TV interview where he says the food has magical powers and can attract beautiful women and before you know it the Toxic Avenger’s latest opponent is hit over the head by a fish moments after her clothes all fell off and she stumbles into the interviewers lap and he thinks god has answered his call to meet a pretty lady. You probably think I’m making this all up but believe me it really all does happen. 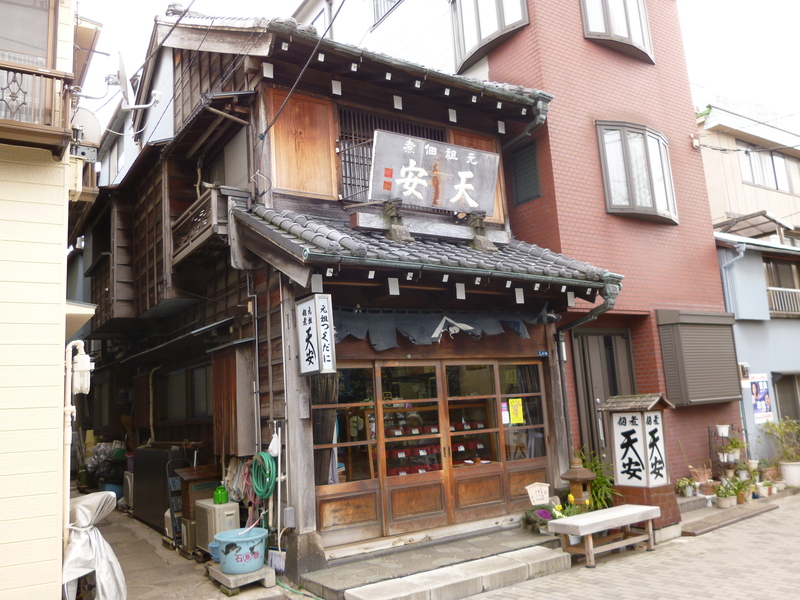 Tenyasu’s much-photographed wooden building is the oldest of the three tsukudani shops in the area and it had a steady stream of customers visiting it. It’s been open since 170 years ago and you can buy the stuff by measure but as it was expensive and I didn’t think it could be used so easily I declined the invitation. 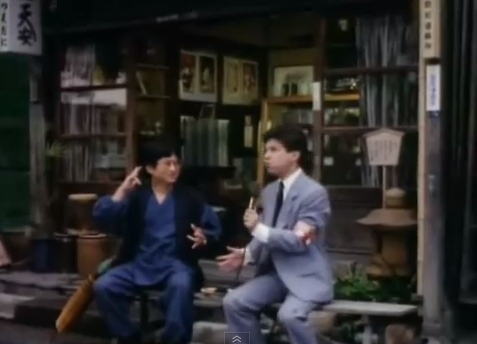 You can see my ‘Tokyo Daytripper: Tsukuda’ post here & my review of ‘The Toxic Avenger Part II‘ (1989) here. 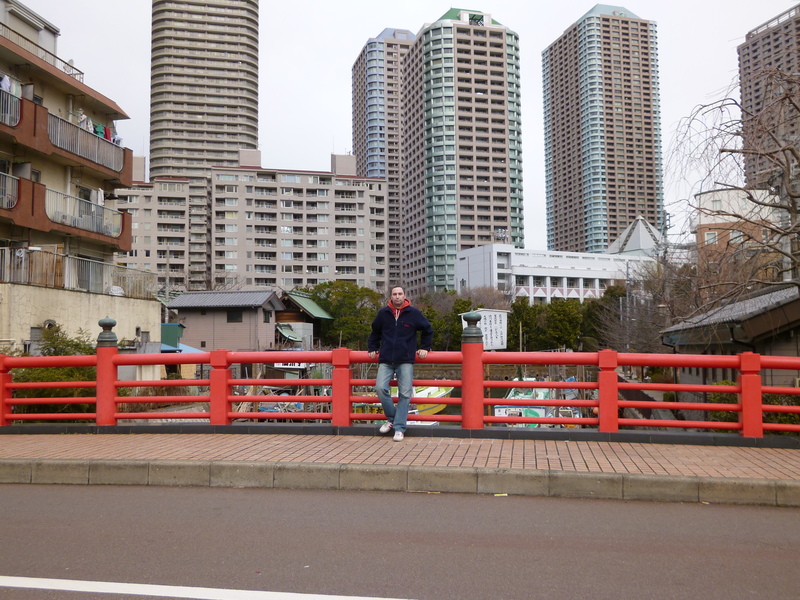 This entry was posted in Japan Filming Locations, Movie Locations and tagged Japan movie locations, Sumiyoshi Jinja shrine, Tenyasu, tokyo filming locations, toxic avenger filming locations, tsukuda, where was the toxic avenger filmed?. Bookmark the permalink.